I have to admit. I absolutely love this salad. I mean… I really, really love it. 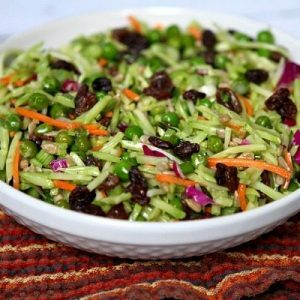 I tend to have an affinity for the sweeter things in life, and this slaw has a sweet and tangy dressing. So for us sweets-lovers, this recipe is for us. 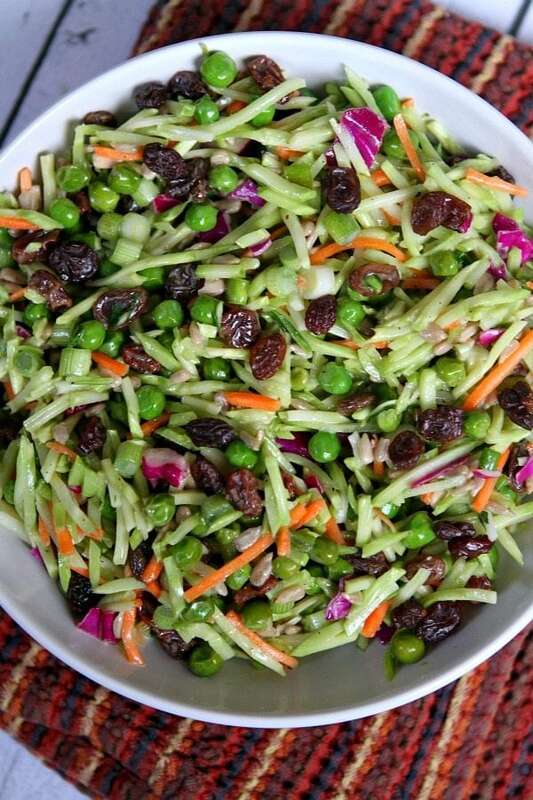 More things about this slaw that make it appealing: it’s crunchy and colorful and delicious. 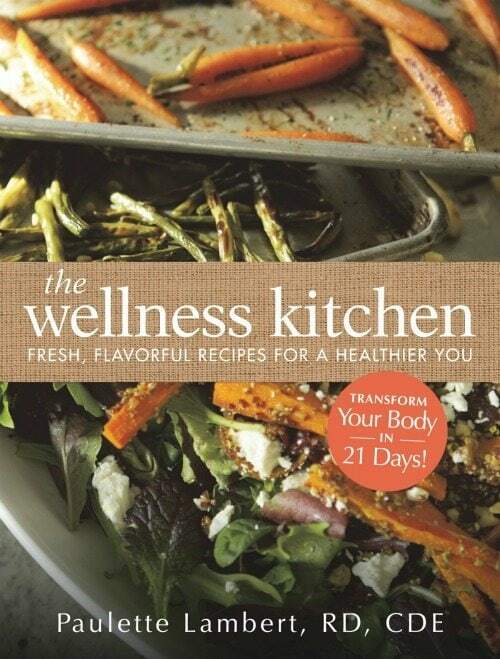 The recipe comes from a cookbook I’ve been browsing lately: The Wellness Kitchen: Fresh, Flavorful Recipes for a Healthier You by Paulette Lambert. This is a cookbook that promises more than 100 recipes with wholesome and flavorful foods to incorporate into any diet. You’ll find recipes in the book for all meals of the day. I’m eyeing the following: Blueberry- Banana Bran Muffins, Tabouleh Salad with Grilled Vegetables, Roasted Tomato Soup with Parmesan Crostini, Hoisin Salmon Burger with Ginger Aioli, Honey- Pecan Crusted Chicken, Sauteed Balsamic Brussels Sprouts, White Lasagna with Turkey Sausage and Deep Dish Apple Cobbler. Yum, right?? The author also shares a 21-day food plan for health and weight loss, if you are interested. I served this slaw with some pulled pork sliders, and it was a big hit with my family. We ate every nibble. I’ll definitely be making this recipe again. To make dressing, whisk together all ingredients in a medium bowl. Add slaw ingredients and toss to coat. Make this salad a few hours before serving so the full flavor develops. 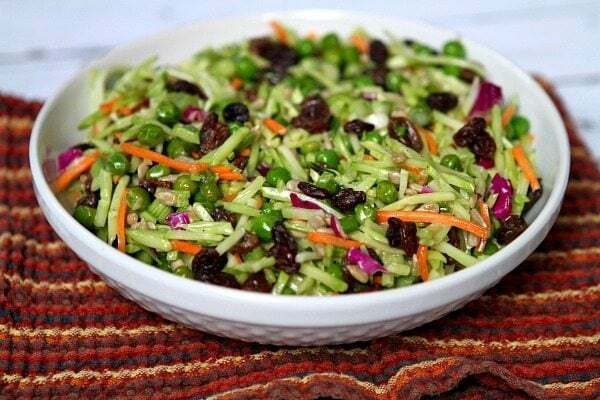 This slaw can be kept up to 3 days in the refrigerator if you're lucky enough to have any left!